UPDATE: ALL of these bills have now been signed into law by the Governor. The General Assembly approved 2017-S 0175A, 2017-H 5182 introduced by Sen. V. Susan Sosnowski (D-Dist. 37, South Kingstown, New Shoreham) and Rep. Kathleen A. Fogarty (D-Dist. 35, South Kingstown) to outlaw the use of any non-hands-free personal wireless communication device while operating a motor vehicle, except for public safety personnel or in emergency situations. Those caught violating the provisions of the legislation () would be subject to a fine of no more than $100. That fine can be suspended for a first-time violator who provides proof of acquisition of a hands-free accessory subsequent to the violation and prior to the imposition of the fine. The measure now heads to the governor’s office for her signature. 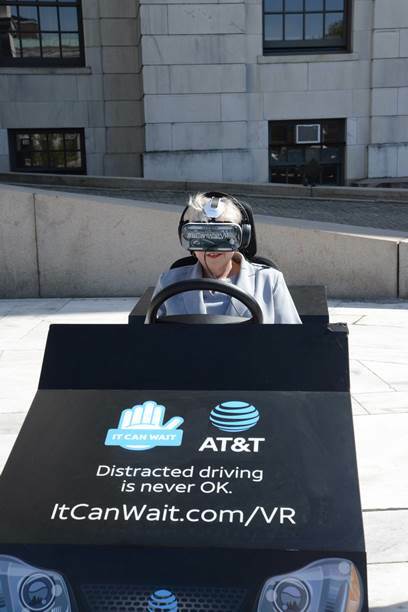 “Distracted driving is extremely dangerous, claiming 3,477 lives in 2015 alone, according to the National Highway Traffic Safety Administration,” said Senator Sosnowski, who has submitted the legislation for the past four years. “According to a 2011 report from the U.S. Department of Transportation, 10 percent of all drivers under the age of 20 involved in fatal crashes were reported to be ‘distracted’ at the time of the crash,” said Representative Fogarty. The General Assembly passed 2017-S 0570A, 2017-H 6095Aaa introduced by Sen. V. Susan Sosnowski (D-Dist. 37, South Kingstown, New Shoreham) and Rep. Arthur Handy (D-Dist. 18, Cranston) that would create an exemption to the land use change tax for farmlands that establish renewable energy systems. The measure now moves to the governor’s office. The legislation dwould exempt no more than 20 percent of the total land acreage previously classified as farm, forest or open space land from a land use change tax if the change is for purposes of a commercial renewable energy system. The General Assembly passed 2017-S 720A, 2017-H 6345 introduced by Sen. V. Susan Sosnowski (D-Dist. 37, South Kingstown, New Shoreham) and Rep. Deborah Ruggiero (D-Dist. 74, Jamestown, Middletown) that would make the Department of Environmental Management responsible for enforcing the provisions of the federal Food Safety Modernization Act. The legislation would authorize the director of the Department of Environmental Management to enforce the act as it pertains to commercial growers of fruits and vegetables. The measure now moves to the governor’s office. “Our farmers are always the first to advocate for a safe food supply,” said Senator Sosnowski, who serves as chairwoman of the Senate Committee on Environment and Agriculture. Farm organizations in the state, including the Rhode Island Farm Bureau and the Rhode Island Agricultural Council, contacted lawmakers asking that enforcement of the federal regulations be under DEM auspices rather than the Department of Health in the belief that agencies that were already familiar with agricultural needs would be better suited to implement the regulations fairly and reasonably.